The Chinese have an expression that your life is a string of zeroes. If you have your health, you can put a one in front of all the zeroes (1000000000000000). Without your health, you have nothing but zeroes (00000000000000). Sorry to be so blunt, but I’m buying into that. Next month, we’ll get back to the brain and schools. But during June and July we focus on your personal world. Last month, we focused on “7 Things You Can Do to Prevent Cancer.” This month, we’ll focus on how to prevent or reduce the effects of cognitive decline. This issue may apply to a family member or even yourself. After all, every 68 seconds, another American is diagnosed with Alzheimer’s disease and it’s a cold, cruel way to die. A breakthrough reported in the last 12 months was only from the disease modeled in mice studies (Moreno et al., 2013). That’s a long way from human success. Sorry to say it will be years before an intervention is developed to successfully treat Alzheimer’s in humans. But keep reading, there’s hope. 1. 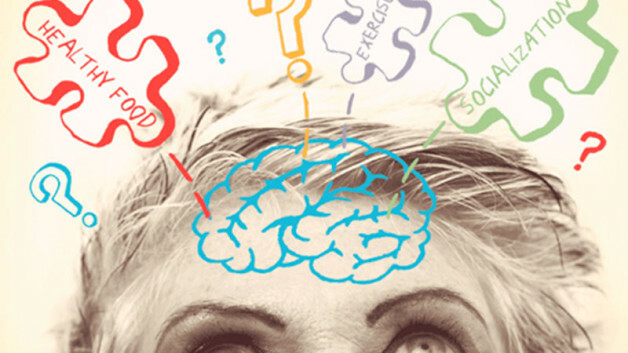 Protect your brain: Make your brain work hard with new learning 3-5 times a week. Upgrade your reading from the “brain-dead” type to some that are more challenging. Sitting around is a risk factor, learning new and challenging things is better for the brain. Here is a website to take your parents to where they can build their cognitive capacity or at least delay the onset of Alzheimer’s symptoms. 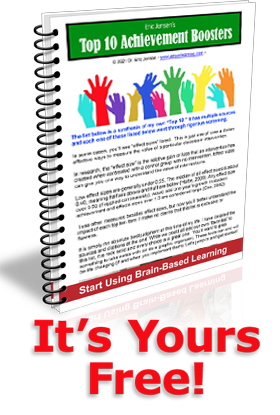 Go to: www.brainhq.com/why-brainhq/about-the-brainhq-exercises. Please note that there is a charge for an annual subscription to this site. Again, I recommend what I like, and we don’t get any compensation from this company. 2. Stay Active: Get physical: Find ways to stay active (walks, swimming and yoga are the best). Worry less about WHAT you do for activity and more that you do SOMETHING at all every day. 3. Foods to Eat: Protective foods must reduce inflammation in the brain. Olive oil works well to fight inflammation and it’s perfect to cook with. A glass of red wine a day is protective (but 5 glasses is not). Consume other alcohol sparingly. Cold water fish such as salmon, mackerel, sardines and cod are a good source of choline, along with whole-grain cereals, legumes, eggs, meat, and royal jelly (all of which contain both vitamin B5, omega 3’s and choline). Use spices! Turmeric, the bright yellow spice that is a primary ingredient in curry powder, shows great promise against Alzheimer’s disease (29 peer-reviewed studies), due to a variety of actions, including its ability to inhibit and even reverse beta-amyloids. Curry and ginger are both anti-inflammatory brain protective spices. 4. Keep sugars low: Choose greens and proteins over carbs and sugars. The key scientific principle, which forms the basis for these diets, is the relationship between consumption of carbohydrates and the subsequent effect on blood sugar (i.e., blood glucose) and specific hormones. Cut your carbohydrate consumption to HALF or less. This is your life we are talking about. It’s no fad diet; humans were not engineered to be eating chocolate coated, honey-crusted cocoa puffs. Blood sugar levels in the human body must be maintained in a fairly narrow range to maintain health. High carbo diets raise your risk! 6. Supplements: a) Omega-3 fatty acids are neuroprotective during development and aging. With Omega-3 supplements (186 studies), positive effects were observed in some studies with very mild AD, especially for early onset conditions. Get it as fish oil capsules or liquid. This non-prescriptive product (fish oil) may be purchased at a health food store. Get it fresh, the type that smells good and tastes good. Available in no smell fish oil capsules at health food stores. Our favorite type is Barleans® Omega Swirl (Lemon-flavored) liquid Omega-3. It tastes great! b) Lipoic acid (available in health food stores) is a naturally occurring cofactor for the mitochondrial enzymes. It has properties which can interfere with the pathogenesis or progression of Alzheimer’s (Maczurek A, Hager K, Kenklies M, Sharman M, Martins R, Engel J, Carlson DA, Münch G. 2008). c) Small does of lithium (283 studies found at last count) suggest it may be a neuroprotective agent (available in tablet form at health food stores) and has been shown to reduce the rate of dementia and AD. (Wada A, Yokoo H, Yanagita T, Kobayashi H. 2005). In fact, Galantamine (in quality, controlled randomized trials) has documented a consistent, albeit sometimes modest effect, on cognition, behavioral symptoms and activities of daily living (ADLs). Although minor adverse effects are commonly reported, the products are generally well tolerated and have a favorable safety profile. This does NOT cure AD, but a modest effect may make a big difference, especially when it’s a loved one’s mind or even your own. It is not cheap, but it is WAY better than the alternative. One reputable company that sells Galantamine capsules without a prescription online is Life Enhancement. You can buy it from Amazon. “We have successfully reversed all of the known pathological features and behavioral deficits found in mouse models of Alzheimer’s disease. Never before has anyone observed clearance of amyloyd plaques with such speed in mouse models.”—Gary Landreth, lead author of study. So why isn’t the drug out yet? It is. The drug is called bexarotene in a pill form under the trade name Targretin. Today, it is an FDA-approved treatment for certain lymphoma cancers that attacks the body’s immune system. Bexarotene is also commonly used “off label” to treat other (use your imagination, wink-wink, nod- nod) illnesses. 1) The FDA has NOT approved this drug for Alzheimer’s, since no one has done the clinical trials for it on Alzheimer’s. Some people suffering from Alzheimer’s’ are already trying it “off label”, but no doctor or company can legally or ethically promote it as a treatment for Alzheimer’s until the human studies are done. 2) There are side effects. Many drugs in the marketplace are fraught with side effects. The FDA approved bexarotene for cancer. When they approve a drug, they also need to take into consideration the risk/reward ratios, which have different standards for different drugs. In short, the FDA might approve a drug for one purpose, but not for another. 3) The new study mentioned above was on mice, not humans. It’s a long and bumpy road from animal studies to Stage III human study success. Having said that, Professor Landreth is so excited about the animal studies so far that he has obtained the patent and started up a company called ReXceptor to produce the drug if it gets cleared.